Are you looking for a hat or headpiece that complements your occasion and style? Need a beautiful headpiece for your upcoming wedding to add that finishing touch? 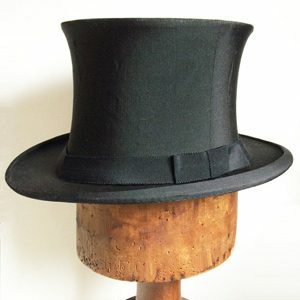 Do you have a much loved hat or headpiece that needs to be restored? My headpiece was the most important part of my wedding day! I wanted something to complement my 1920s gown. Wendi’s creative talent, infectious enthusiasm and attention to detail made the whole experience fun and easy. I received many compliments on the day. Ask Wendi to create a gorgeous headpiece especially for you! Thank you so very very much for again rescuing me with a glamorous hat for the Spring Carnival. It has now been 6 years in a row that you have created original and very glamorous head wear for me that is truly stunning and different. Thank you also for always accommodating my late requests! Wendi, the whole family is envious of your beautiful creation – I’ll have to guard it carefully!” Thank you for such a wonderful hat. Wendi created exactly what I wanted and when I put it in my hair on my wedding day I couldn’t wipe the smile of my face! The headpiece was all hand made and fitted me perfectly, it complemented my dress and matched my wedding style and me. It was perfect…and on my wedding day I was able to forget all about it as it didn’t need any sort of attention all day. Wendi is one of Australia’s most creative and talented milliners. Her eye for detail and style ensures every hat is an elegant work of art…I love her hats! Wendi created exactly what I imagined the finished look to be. Wendi’s enthusiasm and creativity is inspiring and her charming personality made visits to her studio so much fun! I can’t wait to have another event for Wendi to create something for me.